Dimensions 0.75 by 5.25 by 8.25 in. Psychology, epistemology, ethics, and politics are among the subjects on which John Dewey focused his authorial talents â but the crux of his works lies in his philosophy of education. 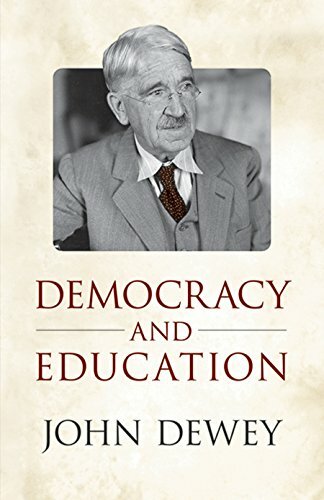 Democracy and Education, originally published in 1916, is his landmark work in the field and an ongoing source of influence and inspiration. Dewey blends his philosophical pragmatism and his progressive pedagogical ideas to define the social role of education and its significance as preparation for citizenship in a progressive democratic society. He stresses democracy's associational and communal aspects, maintaining that conscious, directed education is necessary to establish these conditions and to cultivate democratic character in students. Growth, experience, and activity are the factors Dewey employs to characterize the connection between learning and the variety of social, communicative activity that fosters a thriving democratic community. As a conclusion, the author addresses the social barriers that inhibit democratic education. These divisions, he finds, derive from the practice of dichotomizing relationships between the mind and body, the mind and nature, and the individual and society. Dewey promotes a philosophy of education that negates these dualisms and focuses on freedom of the mind through directed social activity.